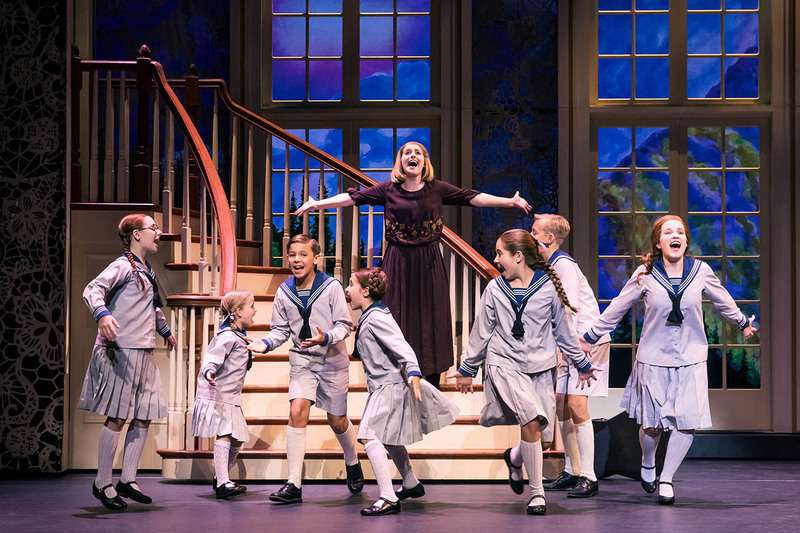 The Sound of Music is coming to Thousand Oaks on 31 January 2019 for the weekend thanks to American Theatre Guild. This is the non-equity tour based on the sensational U.S Equity Tour starring Ben Davis and Ashley Brown I reviewed in 2015 at the Ahmanson Theatre. If it is anything like that gorgeous gem and the recent non-equity tour of The King and I that came through Thousand Oaks in December I am sure we are in for a real treat! In anticipation of the tour stop, I had the pleasure of chatting with actor Jake Mills who plays supporting actor Max Detweiler. The Joyous Living: I understand [thanks to History.com] that Max is a fictional character based loosely on Father Franz Wasner, a musical tutor and boarder whom Maria once said “slowly but surely molded us into a real musical entity." How did you do your research in readiness for the musical? Jake Mills: I love that you know that! Not many people know the true history of the Von Trapp family, but it’s always nice to find people who do. I didn’t use much of the true events for my research because the story we are telling is based on those events. Most of the research I did was diving into the script and doing my script analysis. I have a system I like to use when starting a show that helps me dissect the script in a very in-depth way. Outside of the script, I mostly read up on the life and times in Austria during the Anschluss and the events leading up to the Anschluss. I love history, especially WWII history, so I really enjoyed doing this research. The Joyous Living: What drew you to the role of Max Detweiler and encouraged you to audition? Jake Mills: I actually went in for a different audition and was then asked to come in for The Sound of Music from that audition. When I came in to read for Max, I was mostly drawn in by his humor. The show has so much beauty and heart, but what I loved about Max was his place in the story to bring laughter to the audience. And yet, at the same time, he is a catalyst for much of the political conversations in the piece as well. Max is a little more complicated of a character than people give him credit. The Joyous Living: What song did you use for your audition? Jake Mills: Oh wow. Hm. It was almost two years ago, so I think at the time I was singing “If I Loved You” from R&H’s Carousel. I was then asked to sing Max’s song “How Can Love Survive”, and now I get to sing it every night! 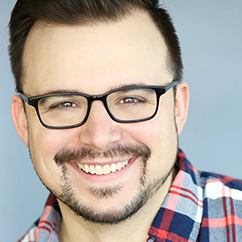 The Joyous Living: The role of Max often adds a lot of levity to the musical with his two catchy musical numbers "How Can Love Survive" and "No Way to Stop It". Does comedy come easily to you? Did the chemistry with co-star Kate Turner come easily? Jake Mills: Comedy is definitely a stronger suit of mine I would have to say. I’m not sure I would say it comes easy. Comedy in theatre is very technical and difficult, but having an actor of Kate’s caliber definitely makes my job easier. She brings a charm and wit to Elsa that made it seamless for me to work with her. Our chemistry is great, and it only gets better as we continue with the tour. We are both basket cases and I think that helps. Haha. Jill Christine Wiley and the Kids. (c) THE SOUND OF MUSIC. The Joyous Living: What is your favorite part about touring with the children? Do they add a great deal of levity backstage? Jake Mills: I actually have only done tours with children, I toured with Annie in 2014-2015, so I don’t know what it’s like to not tour with children. I have to say, I love it! Every child actor I’ve worked with has always been professional and a joy to work with, especially our Von Trapplings. Their schedules include school all day, shows at night, and yet they always come ready to work and we have a great time together onstage. My favorite part would have to be all the antics the kids and I take part in backstage. 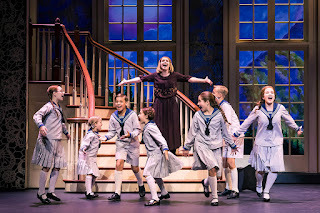 For example, when Lauren O’Brien (Liesl) comes offstage towards the end of the show, the kids and I play little pranks on her. We try to do a new one every night. The Joyous Living: What is playing on your playlist while on the road? Jake Mills: Oh man. How much time do you have? I am a listener of all different genres of music to be honest. My go to’s are typically John Mayer, Mumford & Sons, Chance the Rapper, or Hozier. BUT, Maggie Rogers just dropped a new album and I’m obsessed. Actually, when we were passing by NYC this past fall, some of us on tour went to Madison Square Garden and saw Maggie Rogers open for Mumford & Sons. It was a blast. The Joyous Living: What are you most looking forward to about the tour stop in Thousand Oaks? Jake Mills: I’m so excited to just be in California! Every time I pass through on a tour, it’s always a memorable time. I’ve never been to Thousand Oaks, so I’m excited to see what it has to offer. Also, I have so many friends who have made their way to L.A. that I’ll be able to see while I’m there. It’s always nice to see familiar faces in the audience, so I’m pretty stoked about that too. A big thank you to Jake for the interview! I can't wait to bring you my review when the tour touches down in Thousand Oaks. Look for it on 1 February! Age Appropriateness: Family friendly entertainment! Accessible: YES! Read my review of the TOCAP's accessibility here.